Missing teeth don’t have to be a source of embarrassment any longer. We offer complete or partial dentures that will give you your confidence back. 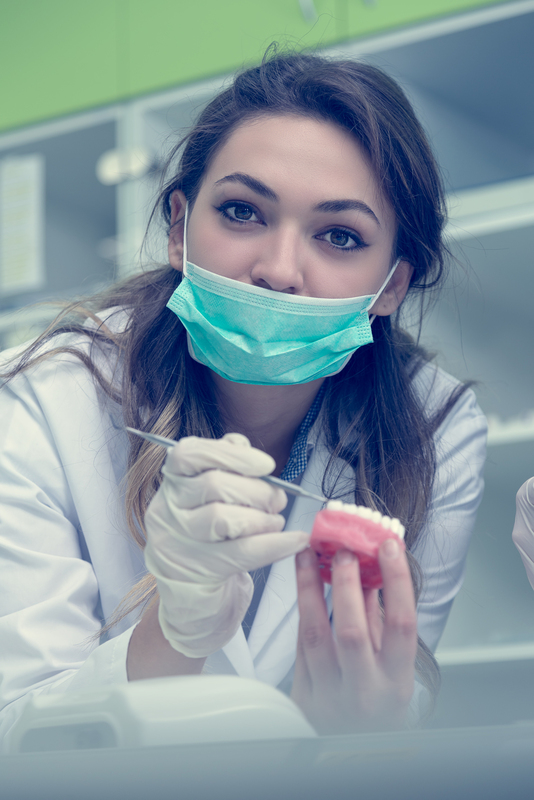 Whether replacing teeth that have been lost due to trauma, decay, or gum disease, it’s a crucial decision to make because of how important your teeth are. They not only help with eating food but support the facial muscles and are critical for speech. There are two different types of removable full dentures: immediate and conventional. Immediate dentures are typically made when the patient’s existing natural teeth are being removed and the new dentures are delivered the day of the extractions. Conventional dentures are typically made when existing dentures are being replaced. A partial denture is a removable dental appliance that replaces multiple missing teeth. It can be attached to the teeth with clasps, which are like small metal “c” clamps that hug nearby teeth, or may be attached to teeth with crowns by precision attachments (hidden clasps). Both types typically have a metal framework and plastic teeth and gum areas. A temporary partial denture may have a plastic base with no metal. Implants can also be an option in some cases. Please check out our Implants service page for more information.